Comedy was King in the last decades of the 20th century, and by 1990, NBC was on Top of the World with some of the most popular sitcoms on television. 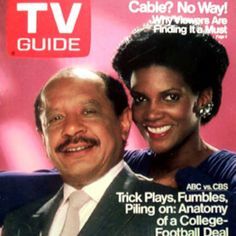 After "The Jeffersons", Sherman Hemsley starred in NBC's newest comedy series, "Amen" in 1986. I had no idea at the time that this was a "golden age" for black actors in all forms of entertainment on TV. Free from the character of George Jefferson, Sherman Hemsley got to expand his appeal with a new venue and a new cast on a new show. I've been waiting for a HQ YouTube clip from the Amen episode, "Wedding Bell Blues", but all I can find is a very poor quality video from 2011. This is a long clip, so you'll have to be patient - it has one of the funniest courtroom scenes this side of "Night Court" where Sherman Hemsley's character, Deacon Frye, calls his accuser, "a chainsaw in a skirt". On the night that NBC aired this episode, Sherman Hemsley proved that when it came to comedy: He's Our Man, LOL! I'd all but forgotten about Amen. Seems like there were a few shows that focused on a religious figure protagonist around that time. Ranging from comedy (Amen) to mystery/drama (Father Dowling Mysteries). You don't see that much any more. 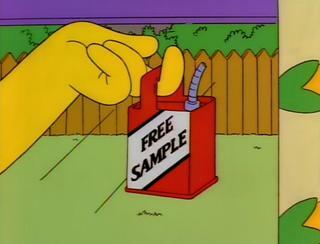 I didn't realize it at the time but this was the High Point for NBC's comedy lineup. By the mid 90's, NBC sorta lost it's magic touch as the shows became more bland with the pressure to be politically correct. I bought Roseanne: The Complete Series. 9 seasons for about 30 bucks! Cody is the best character on the show. He's a goofball, but he's also helpful. He's always there for his friends when they're in tough spots.